Remember login on this computer? Perfect for favors, presents or just snacking! 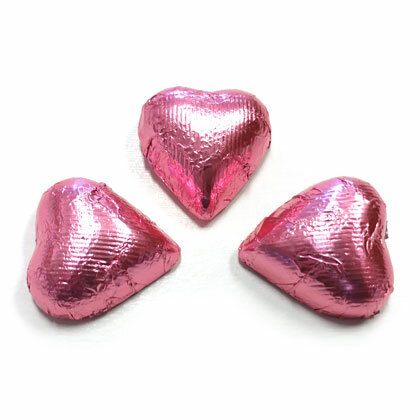 Rich dark chocolate hearts wrapped in pink foil. Approx. 1.25 inches wide and 3 pieces per oz. 7 oz bag.